Although we often think of it as rare, diamond is actually a relatively common material on our planet; it’s just not always easy to get to. Diamonds have even been found along the Front Range. The Kelsey Lake Mine, located north of Fort Collins, produced specimens between 14 and 26 carats. 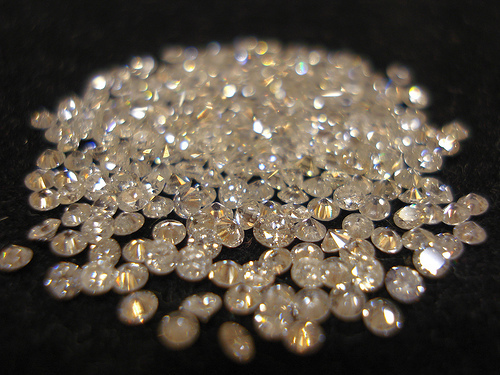 In spite of their impressive finds the mining company eventually went bankrupt; in the end it simply cost too much to excavate and remove the diamonds for the company to turn a profit. Similarly, there are millions of dollars in gold floating about our oceans, yet it would take many times what that gold is worth for it to be successfully extracted. All of this raises a question; if the oceans on Earth are teaming with mineral resources, what about those on other planets? 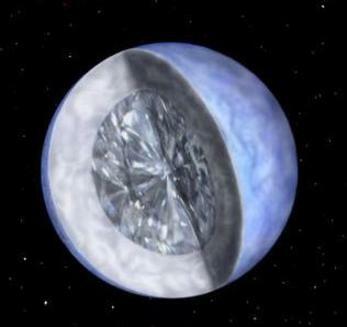 According to a recent article in the scientific journal Nature Physics, Uranus and Neptune could have oceans made not of water, but of liquid diamond. However, before you start planning a trip to the Neptunian seaside, remember that this idea is still theoretical. The information behind the research hasn’t come from the latest fly-by of a space probe, but instead from a lab right here on Earth. Research looking at the melting point of diamond has determined that, under the right circumstances, it acts a lot like water both when melting and freezing. Solid chunks of diamond will even float in the liquid much like ice floats in water. Of course, finding the exact temperature that will melt diamond is almost impossible. This is because it’s not simply a question of adding heat, but adding pressure as well. How much pressure? In the most recent experiments, a team of scientists applied pressure along with the intense heat of lasers to a diamond (a tenth of a carat in weight and half a millimeter thick). 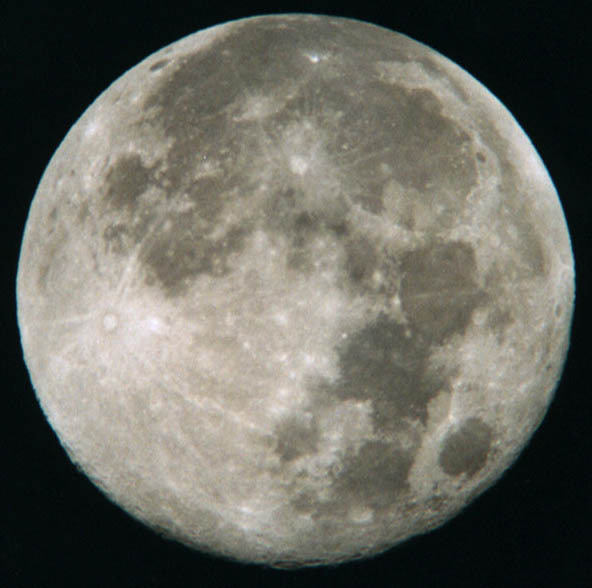 They reached the diamond melting point at 40 million times the pressure we would experience at sea level here on Earth. The liquid diamond didn’t begin to return to its solid form until the pressure was reduced to a level roughly measuring11 million times that of sea level. According to Tom Duffy, a scientist at Princeton University, the idea of liquid diamond oceans on Uranus and Neptune is not a new one, and the current research helps support the idea. The findings may also explain another phenomenon of those distant plants: the strange placement of their magnetic poles. Both Uranus and Neptune have magnetic poles that are roughly 40 to 60 degrees off their geographical north – south axis. To give you an idea of how far off the mark that is, it would be like finding the Earth’s magnetic North Pole in the middle of Texas. 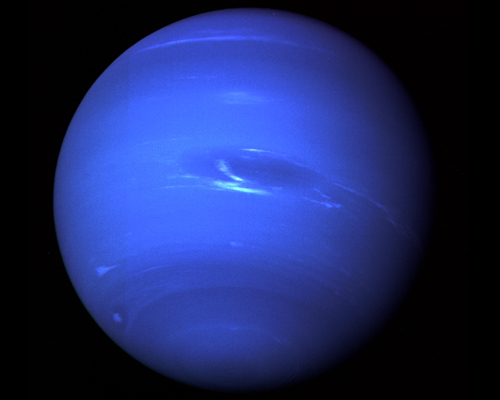 Scientists think that oceans of liquid diamond may help explain the pole discrepancy and other anomalies that have been observed with both Neptune and Uranus. Before any kind of conclusion can be drawn there will need to be much more research conducted, including sending more advanced probes to various planets of our solar system. In the meantime, we can continue to study some of the same types of phenomena right here on Planet Earth. Isn’t it nice to know that we can reach so far and learn so much without ever having to leave home?